Read the rest at The Washington Post. In a court filing in an unrelated case in the Eastern District of Virginia, prosecutors also appeared to reference the prospect that Mr. Assange has already been secretly charged. Prosecutors have considered publicly indicting Mr. Assange to try to trigger his removal from the embassy, the people said. 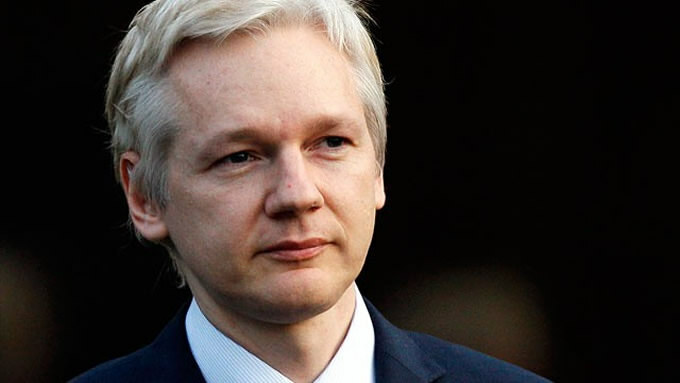 A detailed explanation of the evidence against Mr. Assange could give Ecuadorean authorities a reason to turn him over, they said. The exact charges the Justice Department might pursue remain unclear, but they may involve the Espionage Act, which criminalizes the disclosure of national defense-related information. (THL) I'll post my thoughts about these developments on The Humble Libertarian later today.